Is it a ‘Year of Engineering’ for Women? In November of 2017, the UK government declared 2018 the year of engineering. With £210,000 funding for seven projects in order to inspire interest in STEM disciplines it seemed a real commitment was being made . Halfway through said year, let’s take a look at the UK Space Agency funded campaign. In 2017 15.1% of UK engineering undergraduates were women . It can be seen in other countries like China where there is an emphasis on STEM subjects from a young age generally there’s a higher percentage of women in the field-in 2015 40% of Chinese engineers are women  whereas in the UK it was a mere 9% . 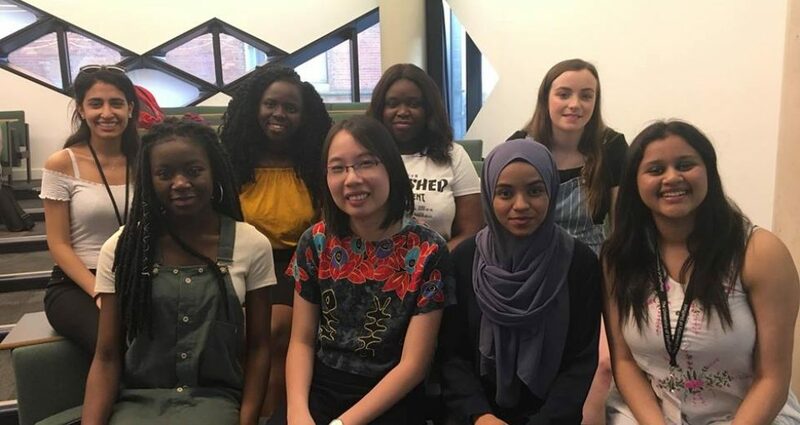 Therefore, this initiative to increase interest of young people in the UK into STEM subjects would be expected to project future numbers of female engineers. So, is a change being made, and is this effecting gender diversity in the field? As of 2017 the JCQ  stated that there was very little difference in the take up of STEM GCSE subjects. Showing that in the generation coming up through the school system at the moment there is an interest from both genders. We can expect then that initiatives such as those from the UK Space Agency and even the outreach by our own society, like the event in the Octagon in March this year, will be well received and has a chance of inspiring the next generation. The goal of the ‘Year in Engineering’ is to change the perception of engineering and to inspire the next generation by showing the exciting and rewarding side of engineering . With tonnes of corporate partners on the scheme and resources for schools there is a clear show of commitment to the scheme at this point in the year. Female students are a third more likely to apply to university than their male peers , but are they applying to STEM roles? The answer to this question remains to be seen, in the coming academic year which begins at the end of the ‘Year in Engineering’ we will see whether the efforts have paid off. As young women embark on the next stage of their academic careers will they consider STEM opportunities, be it at GCSE, A-Level, Undergraduate or Postgraduate level? However, we can say at this point that the work by organisations such as Women in Engineering, Stem Women, The Women’s Engineering Society as well as the UK Space Agency and HM Government, is helping to lead the way towards a more gender diverse environment in the STEM disciplines. Despite the fact that it is too early for any official figures I believe we can clearly see a link between engagement at a young age and STEM careers later on. Therefore, I would say, if the ‘Year of Engineering’ does increase interest and engagement we could see a lot more interest in STEM careers in future years. That said to make it a ‘Year of Engineering’ for women I think we need to see more engineers going into schools and encouraging young girls and showing them their options. The ‘Year of Engineering’ is a great concept that just needs some more advertisement to really gain traction and interest with kids. I am pleased to say that as a society Sheffield’s Women in Engineering Society is already increasing engagement in young people in a number of ways leading to a bright future for women in engineering. UK Space Agency, “2018 will be the Year of Engineering,” 2017. [Online]. Available: https://www.gov.uk/government/news/2018-will-be-the-year-of-engineering. [Accessed 08 June 2018]. WES, “Useful Statistics,” WES, January 2018. [Online]. Available: https://www.wes.org.uk/content/wesstatistics. [Accessed 14 June 2018]. M. Duimet, “5 Numbers That Explain Why STEM Diversity Matters to All of Us,” Wired, 2015. [Online]. Available: https://www.wired.com/brandlab/2015/05/5-numbers-explain-stem-diversity-matters-us/. [Accessed 14 June 2018]. WES, “Women in Engineering Statistics,” January 2018. [Online]. Available: https://www.wes.org.uk/sites/default/files/2018-01/Women%20in%20Engineering%20Statistics%20-%20January%202018%20-%20created%20by%20Sarah%20Peers_0.pdf. [Accessed 14 June 2018]. JCQ, “Summer GCSE Results Important Information,” 2017. [Online]. Available: https://www.jcq.org.uk/examination-results/gcses/2017. [Accessed 12 June 2018]. HM Government, “What is the Year of Engineering?,” Year of Engineering 2018, 2017. [Online]. Available: https://www.yearofengineering.gov.uk/about. [Accessed 14 June 2018]. E. Busby, Gender gap in university applications at record high, Ucas figures show, 2018.